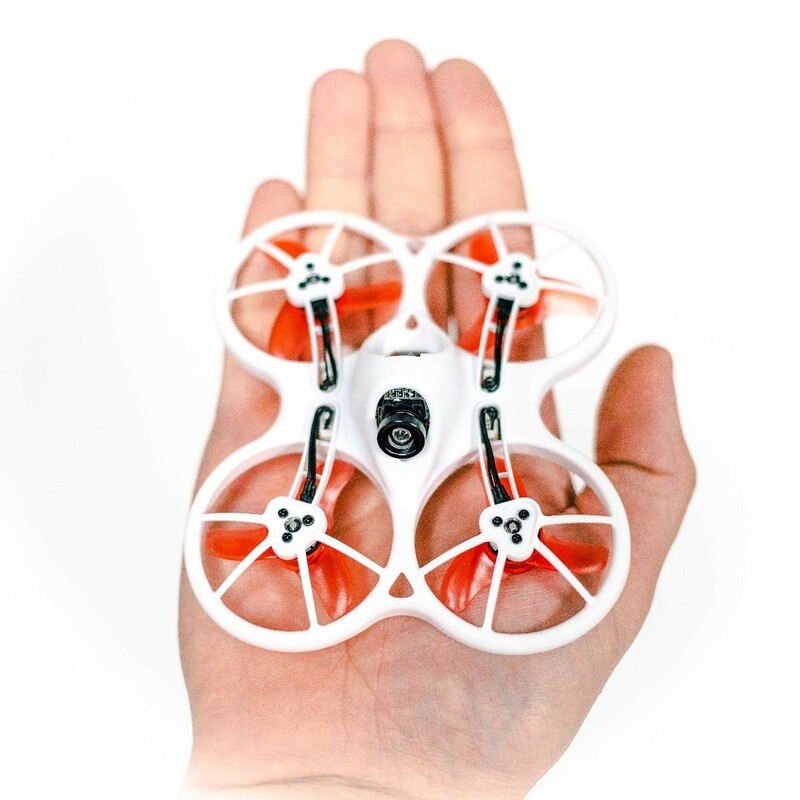 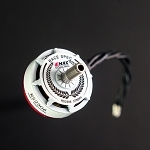 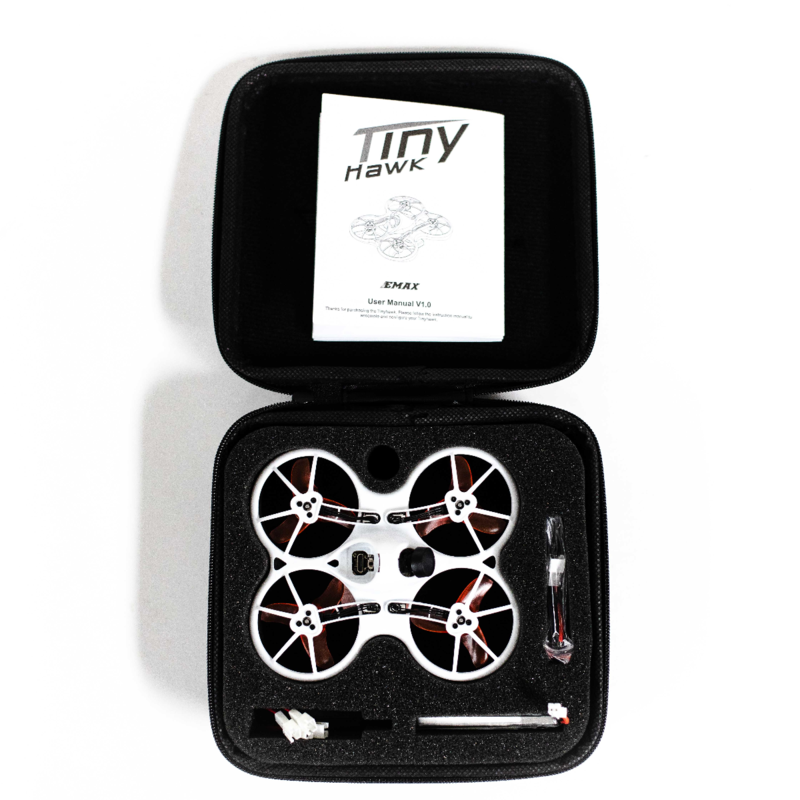 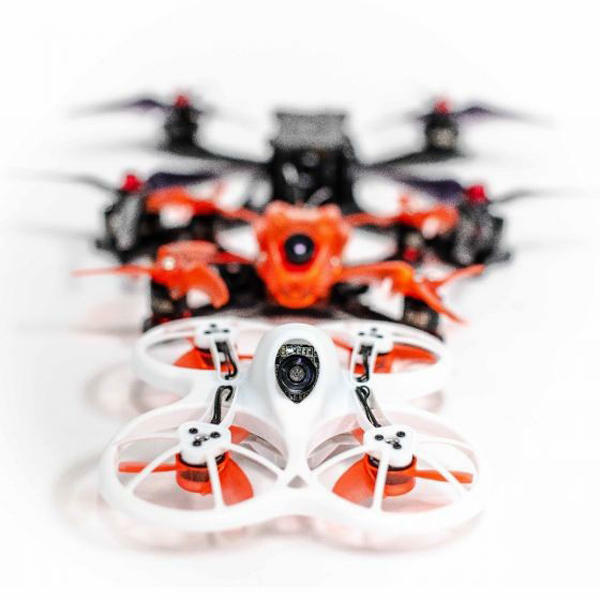 Emax's TinyHawk is an FrSky Bind-and-Fly aircraft. 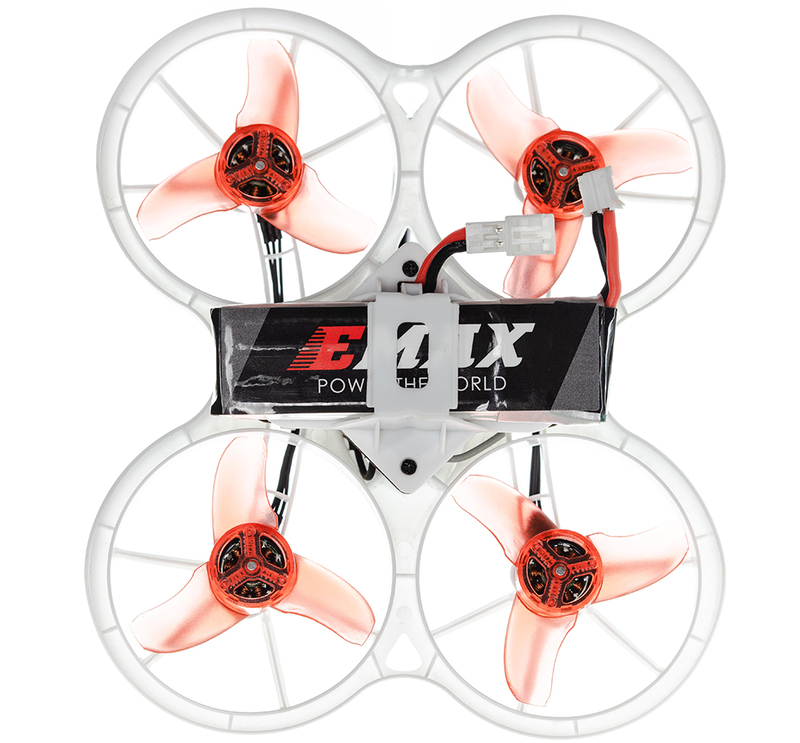 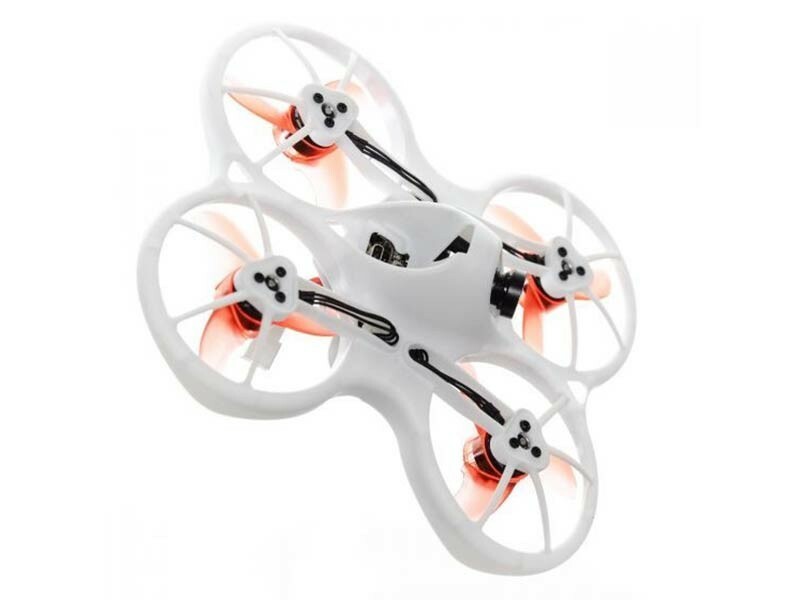 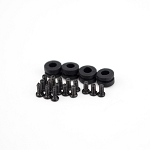 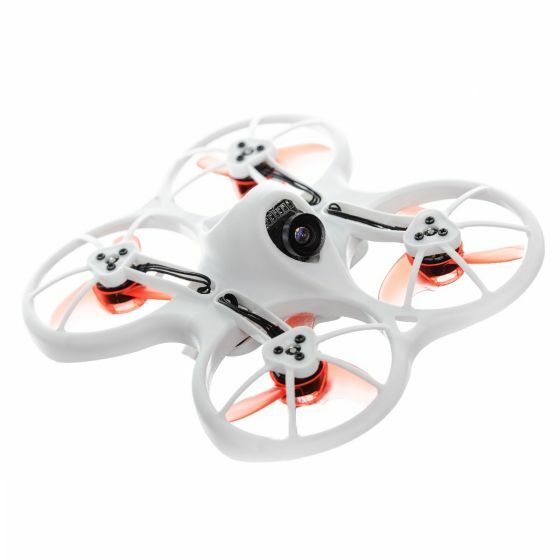 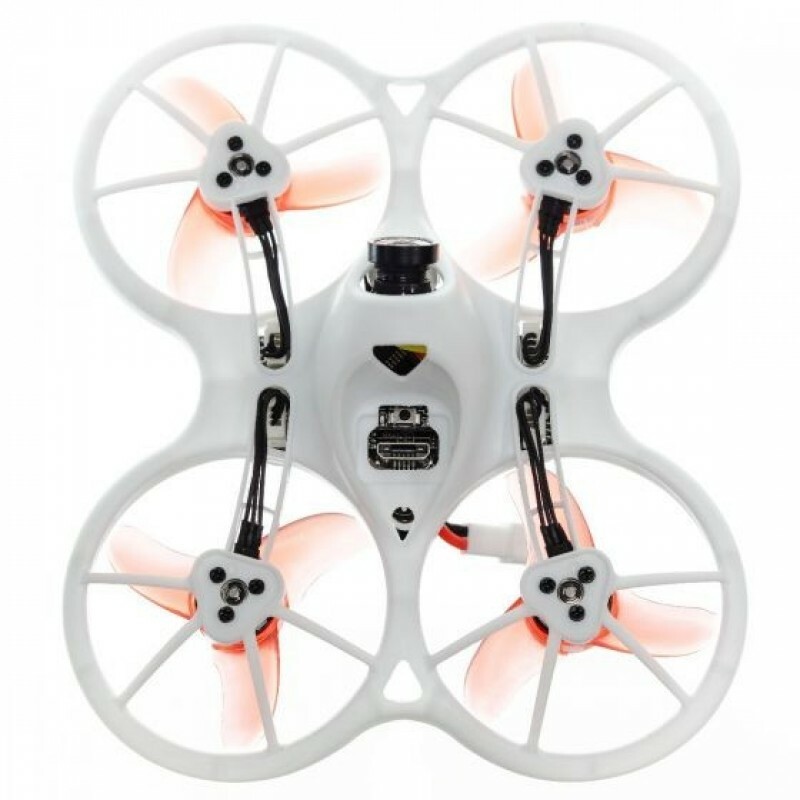 It comes with one 450mah high-voltage LiPo battery and one six-channel 1S LiPo charger. 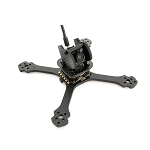 1s High Voltage (HV) 450mah lipo battery.